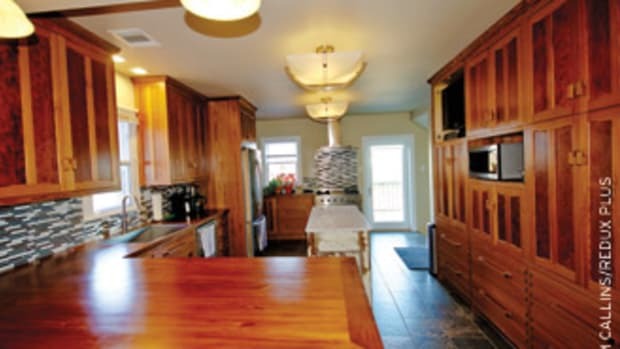 Located minutes from the festive atmosphere of downtown New Orleans, Custom Cabinet Specialties of Harahan, La., is a full-service woodworking company serving both commercial and residential clients throughout the city and its outskirts. The company has experienced such an increase in work volume in recent years that its owner, Dale Smith, relocated to a larger facility in May to give his employees more elbow room. The new 10,500-sq.-ft., state-of-the-art facility is manned with 12 skilled employees. 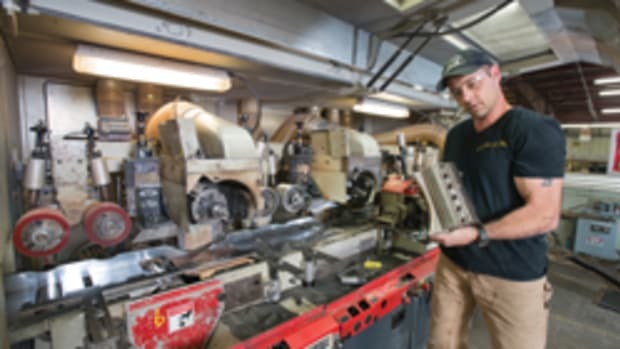 The shop specializes in high-end work for some of the area’s most prominent hospitals. Smith believes his company’s success is simply driven by his team’s eagerness to complete new projects promptly and properly. This mantra has helped the business remain ahead of the competition and retain referrals for future work. Because of his strong work ethic, it should be no surprise Smith reopened the shop two days after Hurricane Katrina wiped out portions of the city beyond repair in 2005. “You don’t want to let anybody down. These customers relied on us prior to the hurricane so we definitely tried to keep everybody happy, which was impossible, but we tried,” says Smith. 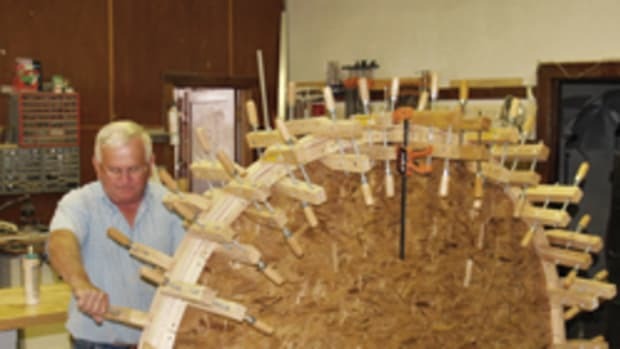 Smith essentially started woodworking without any prior experience in the early 1990s when his first child, a daughter, was born. It was time, as he puts it, to get a real job. 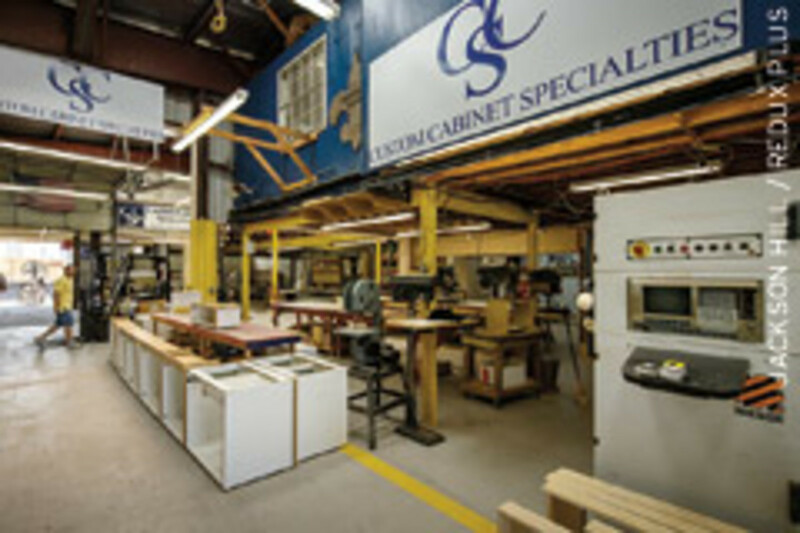 Smith opened Custom Cabinet Specialties in 2004 with one employee. Using connections he’d made through his former employer, he was able to find work immediately and built a backlog. 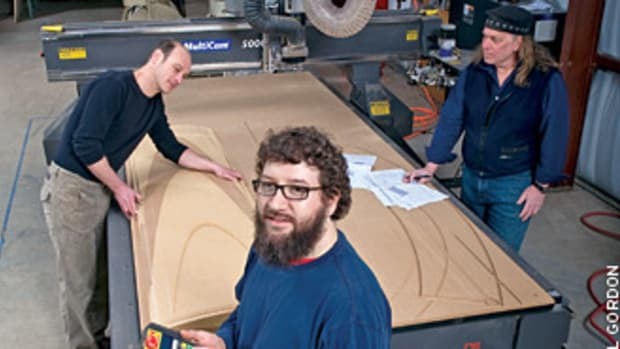 Within the first six months, the shop’s workload required 28 employees. But the expansion was so drastic Smith had to scale back quickly to make the business more manageable. He’s in a comfort zone with a dozen employees and appreciates their talents. 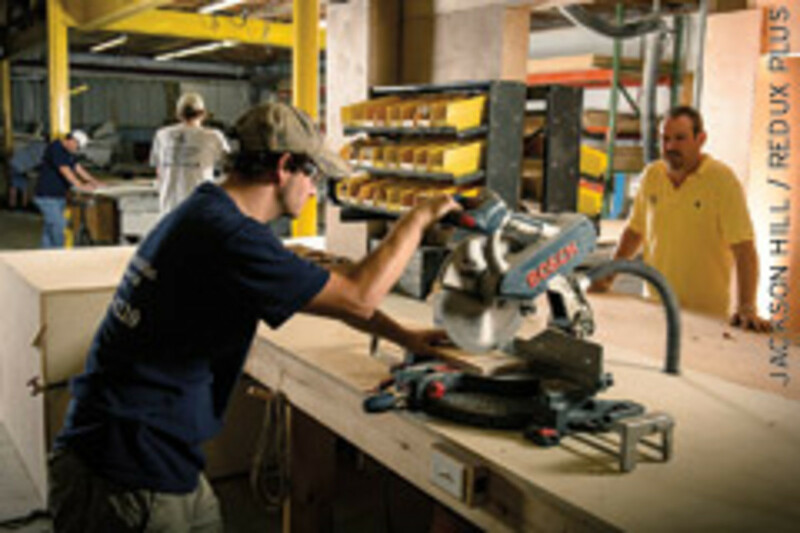 He’s very aware that a lack of skilled help is one of the many dynamics changing in the cabinet industry. Whether working for a hospital, restaurant, bank, local university or even a private home, obtaining work has never seemed to be problem for Smith, who relies solely on referrals and industry connections. 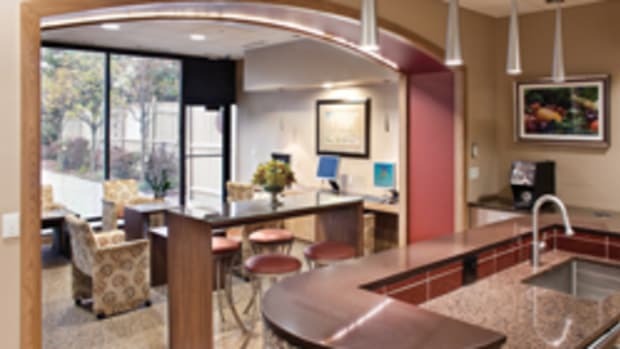 The client base is about 80 percent commercial and 20 percent residential. 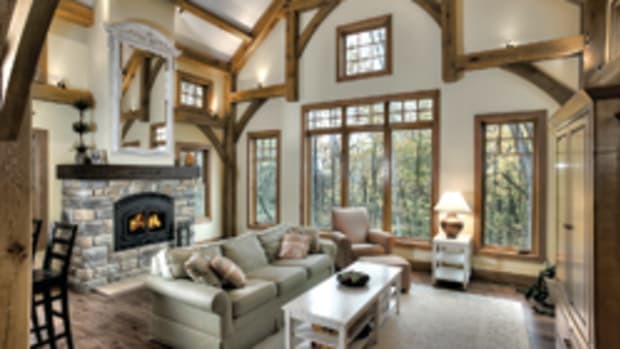 “Residential work, in my opinion, is a really a high-end kitchen or a very expensive entertainment center or units for living rooms; not just a remodel. That’s what we do,” says Smith. 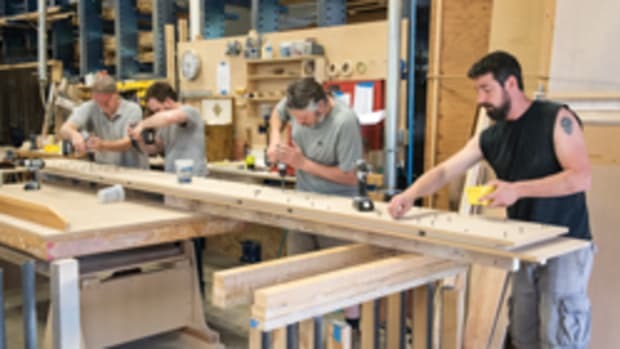 The shop offers complete design and build services, all done in-house. Just about any request will be honored. 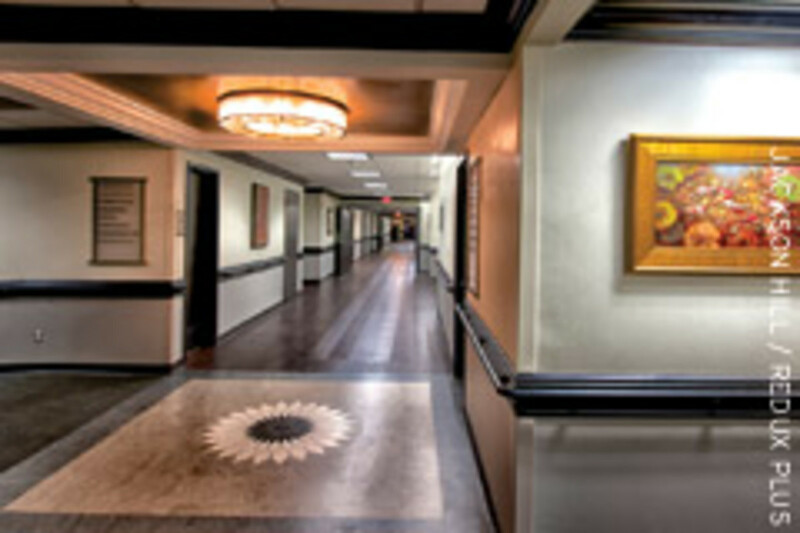 Smith acquires most of his commercial work from architects and interior designers working in New Orleans. The shop has contracts with many of the area’s largest health care facilities. “Often times a hospital will try to get a doctor to come from a specialized field. So we’ll make a complete specialized build-out in a hospital just to bring a new employee on board with them in that facility. That happens quite often with just about all of them,” says Smith. Other commercial projects include work in well-known New Orleans locations such as Acme Oyster House, Houston’s Restaurant, Celebration Church and Loyola University. The styles of commercial work in the New Orleans area are evolving rapidly from purely traditional to diverse modern, ranging from the historical architecture in downtown buildings to the modern development schemes in the city’s suburbs. 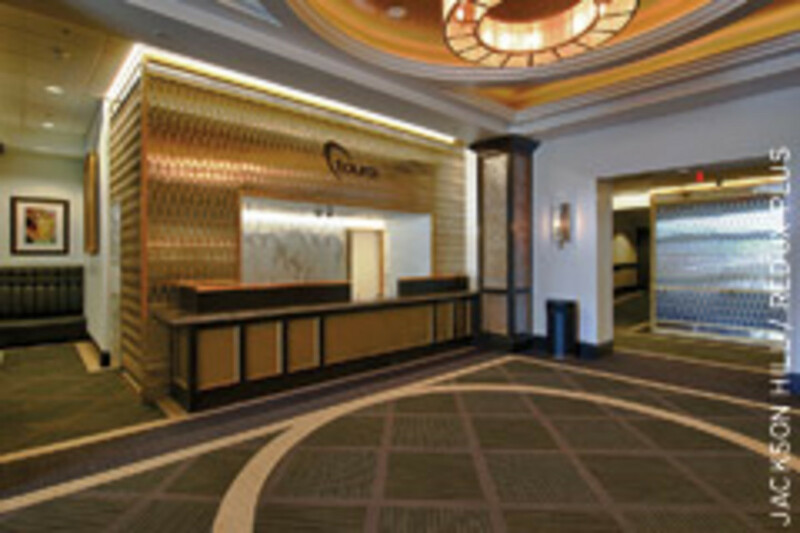 Because the company mainly services commercial institutions, it uses a 50/50 mix of hardwoods and alternative materials. 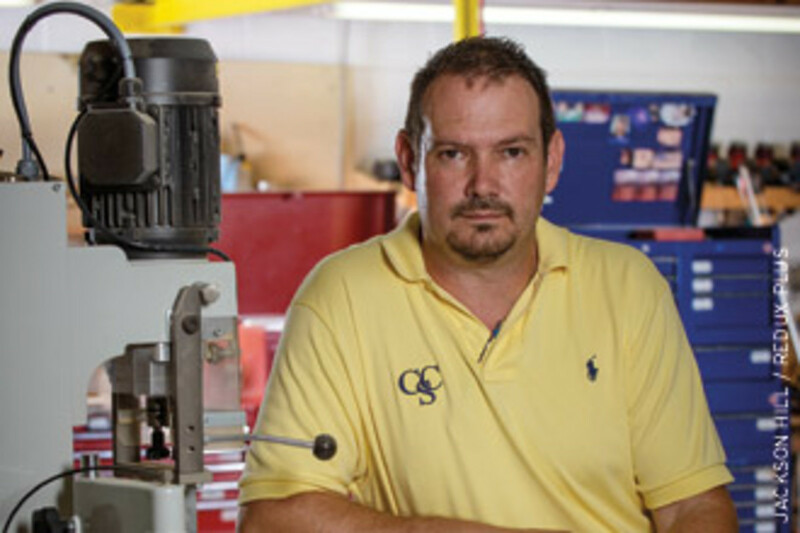 Smith does all of the estimating and oversees the two-person CAD department. But he hasn’t stayed away from the shop floor. “I make sure all employees understand that I’m not the boss that sits in the office and cannot do the work. 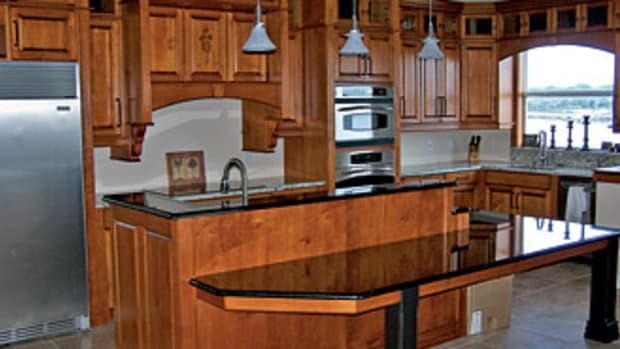 There are companies that I know of that that owner really doesn’t know cabinetmaking that well. I can get in the shop and work circles around any one of them any day of the week. 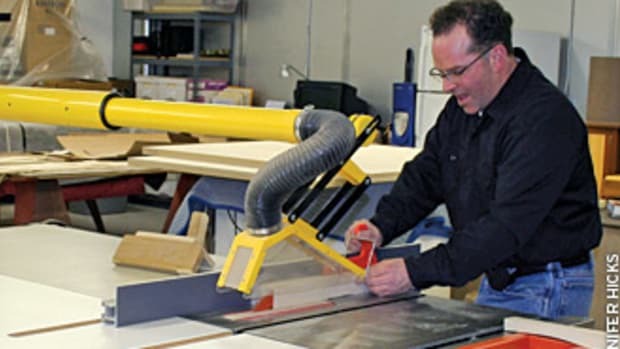 Major machinery includes a Biesse Rover CNC point-to-point machining center; SCMI edgebander; Altendorf sliding table saw; Cam-Wood router; Evans countertop miter saw; Powermatic sliding table saw, widebelt sander, planer, jointer and drill press; and Williams & Hussey molder. Smith is a regular visitor to the IWF show to look at new machinery and network with colleagues. Smith believes that the downturn weeded out the weaker competitors who had a habit of underbidding. It also added to his backlog.